As the world moves forward into bigger and more advanced innovations, it’s no surprise the next step for businesses is connecting more of their processes to the internet. This connection is made possible by running services or software on the internet in a provider’s datacenter (aka, the cloud). However, while most businesses recognize this innovation of moving services to the internet, they cannot grasp that reality due to difficulty of integration with the rest of their business services. 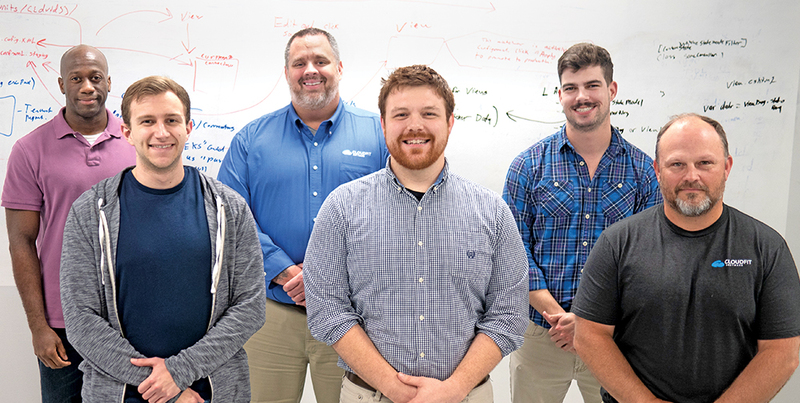 CloudFit Software, a new business located in Lynchburg, is the first of its kind to offer businesses heightened agility, speed, and scale through utilization of the cloud. CloudFit Software started as a vision of Carroll Moon, a Lynchburg native who has over 17 years of experience working at Microsoft. While at Microsoft, he worked for many years building Office 365. He also served as the senior service management architect for the cloud. That position allowed him to lead the vision, strategy, and implementation of cloud technologies from a service management perspective for the world’s largest enterprises. He saw firsthand how vital the cloud was as a tool to help companies excel in their fields. But, he also noticed a gap in pinpointing, managing, and supporting customer scenarios on the cloud. Although Moon loved his job at Microsoft, he felt compelled to solve the key cloud operations scenarios for customers. With guidance from several mentors, he began the road to beginning a business. In parallel, he recalled feeling God pushing him to also start a sports ministry for kids. Moon started the charity, called KidFit, to provide mentoring and opportunities to kids of all backgrounds using athletics and sports as the conduits. KidFit offers kids a place to train in speed, agility, strength, and general physical preparedness. KidFit also coaches travel teams and camps. Operated as a charitable nonprofit, the ministry offers sports training to Lynchburg kids ages 6 to 18, charging only a small fee, with no athlete turned away. KidFit’s vision is to serve kids around the world, even reaching beyond Lynchburg. Moon’s vision of creating this uplifting haven for kids came at a cost, and he realized KidFit would need a partner. Soon after, his prayers were answered when a longtime friend and former co-worker called him asking, “Hey, you still want to do that CloudFit thing?” Moon and several other partners answered with a quick yes, and CloudFit was incorporated in March 2018. A portion of the business’ proceeds were designed to help fund KidFit. Moon left Microsoft with the company supporting his decision to offer customers managed scenarios, managed applications, and niche consulting. From day one, CloudFit’s biggest customer was Microsoft, who continues to come to them for help managing their cloud applications. But CloudFit’s best accomplishment is not that they are supporting Microsoft. Their crowning accomplishment, and the mentality that supports their business is this: the same innovation that they deliver for Microsoft they offer for any company, no matter the size. 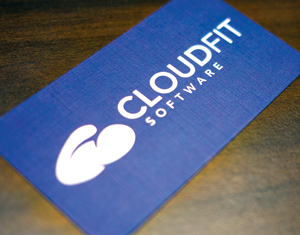 CloudFit offers three levels of service: managed scenarios, managed applications, and niche consulting. Managed scenarios are when CloudFit pairs with a business to handle only the hardest parts of cloud operations. This solution is a 24/7 fix, meaning CloudFit is always tracking and managing progress, allowing the business to focus on its customers. The second tier of management is managed applications. This service is offered to businesses who have a business need and need a custom application built. 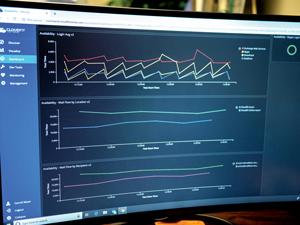 After CloudFit builds the application dedicated to solving their needs, the business can have CloudFit run it for them, or they can be trained by CloudFit to run the application themselves. Finally, if a business is already working to integrate applications to the cloud, but are experiencing a gap in understanding, CloudFit offers niche consulting. Any management gap a company faces, whether strategic or developmental, CloudFit offers resources to help guide businesses through the process of becoming more efficient, and able to better serve their customers. “CloudFit was successful in developing a roadmap to build a tiered support structure which allows us to grow diversely, become more dynamic to support our existing legacy systems, and meet our objectives,” David Fariss, Centra Health Manager of Enterprise Platforms, said. Since the company’s beginning they have acquired two businesses, one expert in Internet of Things research and development, and the other in custom application development. CloudFit is working to hire many members of the community and beyond, recruiting the best and the brightest to train as a member of their team, while also adding to the community’s workforce. Over the upcoming years Moon hopes to see both CloudFit and KidFit grow in leaps and bounds, becoming well-known companies proudly positioned in the Lynchburg community.